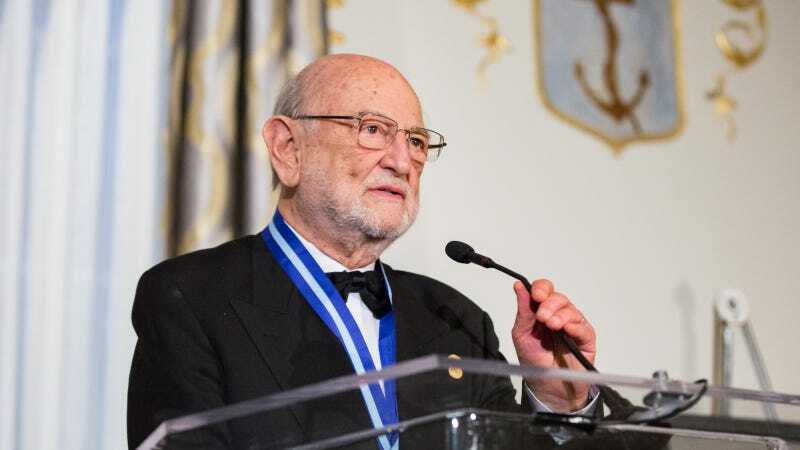 The Mexican-born son of Armenian refugees received the award for his lifetime work on biodiversity at a private ceremony held in Washington, D.C. last Thursday just minutes away from the White House and the president—who isn’t really big on science, Mexicans, or refugees. While the awards committee made it clear that their choice was in no way political, professor Sarukhán took the opportunity to challenge the current administration’s assault on science. Fight back against those who would foist upon us public policies devised in a fact-free bubble. He also criticized the president’s ambitions to build a wall along the U.S.-Mexico border, citing the devastating effect it would have on the land and animals shared by the two countries. “If this wall is built, many mammal species, such as Jaguars, will not be able to move freely in their original territories,” Sarukhán said in a lecture before the awards ceremony. In addition to jaguars, the wall as envisioned would potentially threaten over a hundred critically endangered species like ocelots, black bears, and Mexican grey wolves. Professor Sarukhán is the 76th recipient of the Tyler Prize, joining the ranks of scientists like Jane Goodall and Jared Diamond, as well as his Mexican colleagues Mario Molina and Arturo Gómez Pompa. Created in 1972 by John and Alice Tyler, the prize is awarded to professionals in the fields of environmental science, health, energy, and medicine. Candidates are nominated by their peers and selected by an international committee based upon upon how their work preserves the environment for the betterment of humanity. Often referred to as the founding father of ecological research in Mexico, professor Sarukhán is best known for founding the Comision Nacional para el Conocimiento y Uso de la Biodiversidad (CONABIO), an inter-department government agency focused on understanding and protecting Mexico’s rich biodiversity. He began his academic career as a biology professor at the National Autonomous University of Mexico (UNAM) in 1972, and became the reagent of UNAM in 1989. He served in that position for eight years, devoting much of his research to addressing the issue of mass deforestation taking place in Mexico and Latin America during that period. In the early 90s, Sarukhán was approached by then-Mexican President Carlos Selinas asking what he could present at the United Nations Earth Summit taking place in Rio. As a result, Sarukhán convinced the president to fund CONABIO, an organization that he had been dreaming of for some time. It would become his life’s legacy. Since its conception in 1992, CONABIO has helped inform environmental policy in Mexico, and is today home to the largest species database in the world with over 11.2 million specimens. What makes a good democracy is not the capacity to vote, but the capacity to vote with intelligence. “It’s possible that the reason science is not so trusted in some places today is because perhaps scientists haven’t taken a deep breath and explained carefully in a direct, simple manner what they are doing,” Matron-Lefèvre said. At 76, he still chairs CONABIO and is now focusing on “citizen science,” using crowdsourcing platforms to gather information from amateur ecologists all over Mexico. In only three years since beginning the program, he says that over 20,000 people have contributed, with four new species already discovered by amateurs. Over the past 40 years, the strain placed on ecosystems worldwide by climate change, deforestation, pollution, and overfishing has caused Earth to lose around half its wildlife. Studies published in 2015 estimate that a further one in six of the planets species could be lost if world leaders did not act on climate change immediately. Like many in the science community, Sarukhán is flabbergasted by climate change deniers. “It’s like saying you don’t believe in thermometers,” he said, adding that it’s this sort of thinking that threatens not only to the continuing legacy of this nation, but to the existence of our species.